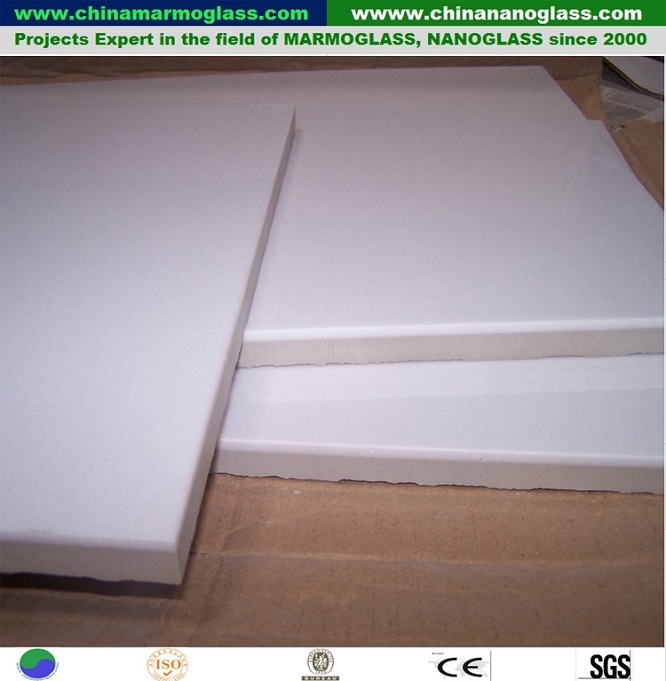 Super Thassos Glass(Thassos Snow White)-welcome to china marmoglass, nanoglass, nano crystallized glass panel crystallized glass panel,crystallized white stone,white marble,minicrystal stone. Thassos Snow White Marble Tile also called Marble Thassos Polished Tile, Thassos Crystal Marble, Super Thassos Glass. Micro-crystal Porcelain Tile is a new kind of environmental construction decoration material which compounds the crystallized glass on the ceramic body in twice sintering under the temperature of 1200C. 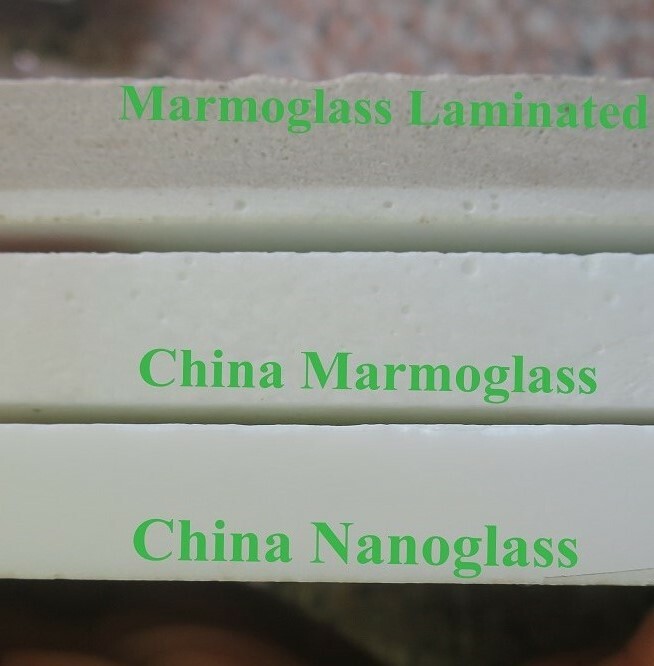 It has combined the advantages of the crystallized glass and the ceramics, which makes the function much better than normal glass, ceramic, stone and marble, and enlarges the scope of application. also called as glass-ceramics porcelain compound board, which is a kind of new type compound board that compounds the glass ceramics in the surface layer of 2-5mm of porcelain tile and also a kind of new high-tech product formed by the second sintering, the thickness of glass-ceramics porcelain compound board is 9-13mm and its glossiness is more than 95. 1. It's excellent functioned with better advantages of physics and chemistry than natural stone slab. Crystallized Stone is made through special arts under the condition of high temperature, which is similar to that of the forming of granite. It has advantages of physics and chemistry ,such as even-texture, high-density, anti-pressure, anti-bend, anti-hit etc, which are better than natural stone slab. It is ever-lasting and wear-resisting. it has no small crackless of natural stone slab. Crystallized Stone has special crystallized structure and glass substratum structure. its texture is fine and smooth, its surface is smooth and crystal clear. for the coming ray. it can produce effect of diffused reflection, which is pleasing to your eyes. 3.It is rich in colors and it can be widely applied. According to the special manufacture arts, rich and fashionable colors, Pure White, Sea White, Beige Color, Absolute Black can be made to meet the needs of production, at the same time, it can remedy the color demerits of natural stone slab. it fits for internal and external decoration of hotels, office buildings, bus stations, airports and top class household decoration, such as wall surface, floor, ceiling etc. 4. It is excellent for acid and soda-resistance and heat-resistance. As a kind of inorganic crystallized materials with stable chemical functions with glass substratum structure, crystallized glass panel have better soda-resistance, corrosiveness-resistance than natural stone slab. Especially its heat-resistance is outstanding. its luster and intensity can not be reduced under various of weather condition. 5. It is excellent for pollution-resistance, which makes maintenance conveient. Crystallized Stone hygroscopicity is very low, it can not be polluted by dirt and colored liquid, dirt on surface can be easily washed, it is convenient to maintenance of buildings. 6. It can be bent if heated so as to make stones slab of verious forms. Being heated, Crystallized Stone can be made stone slab in various forms, such as arc and curved surface, it has advantages of easy craft and low cost, for arc stone slabs, malpractice such as excessive cutting, grinding and waster of time materials etc. can be avoided. 7. It contains no radioactive elements,not harmful to people's health. Any radioactive elements have been removed in the process of manufacture, unlike some natural stone slabs, Crystallized Stone have no harmful radioactive elements, it is one of safest kind of green environment protection materials.